Some students at West Bend High Schools have gotten a taste of reality, virtual reality that is. The West Bend School District has been trying out different virtual reality, or VR, programs that will assist with students’ learning and understanding on a variety of different topics. 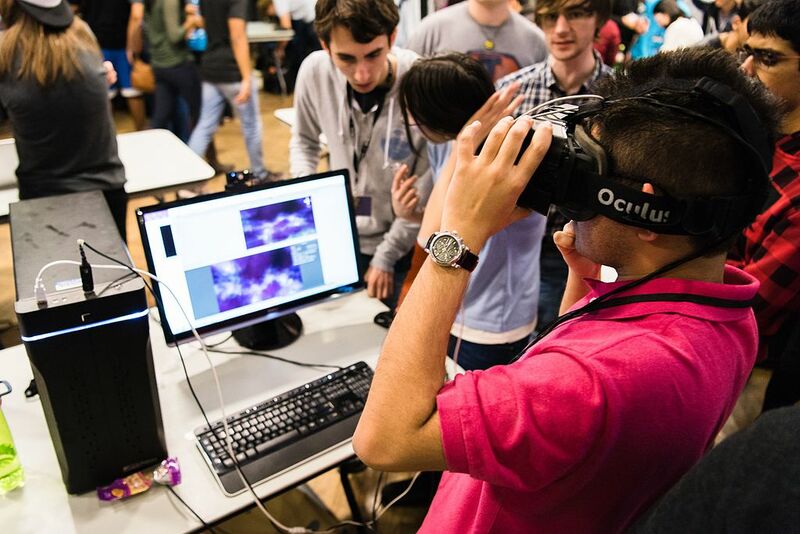 “Virtual reality goggles provide students the ability to immerse themselves into an environment and see 360 degrees along with moving around in different areas of the virtual environment,” said Timothy Harder, director of technology. Several WBHS classes, including Jacqueline Schmoldt’s Advanced Placement US History and Greg Mielke’s Advanced Placement Language, have tested out the new equipment the school district bought first through a grant from the West Bend Public Schools Foundation. Since the first set, two more have been purchased through the district’s technology department. One set costs about $9,000. The school district purchased three of these, totaling about $27,000. The main goal of this equipment is that it will engage students in what they are learning. “The devices create an immersive experience that is great for helping students connect what they have learned in the classroom with the real world,” said Kevin Hyde, a technology coach for the school district. Schmoldt, a West social studies teacher, agrees that it can help students apply what they’ve learned. Schmoldt used a program that toured Auschwitz and the Holocaust museum in Washington D.C., and it gave students the opportunity to tour these places without the cost of traveling there. A VR headset for smartphones. Photo courtesy of Wikimedia Commons. But the VR technology is not for the faint of heart, either. Many students enjoyed the experience. “We used it in AP Lang as a way to relax and have fun the day after the AP exam,” said Kate Mueller, a junior at East. West junior Matthew Kruepke thinks the VR technology can have educational value as well, depending upon what class it is used in. 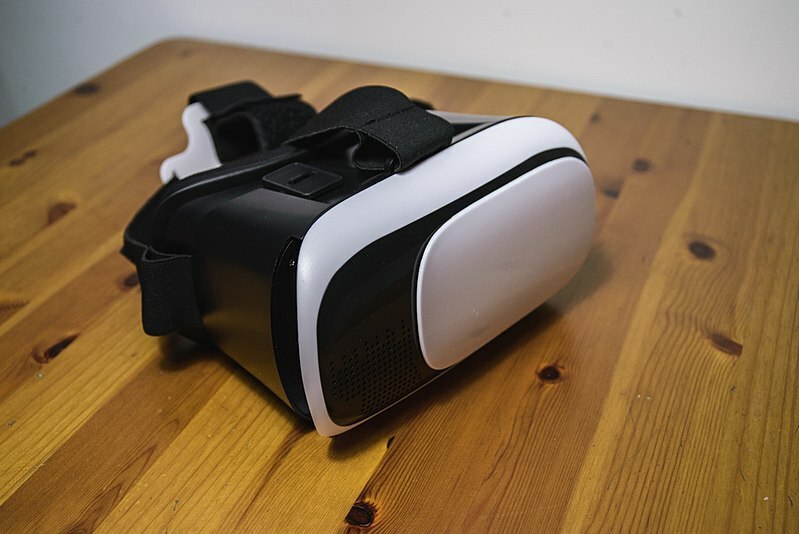 “For AP Language and Composition, I would have to say there’s not much value, because you can’t really go into a virtual reality book, but for other classes, I can see it having a beneficial impact on what a student can learn,” Kruepke said. The programs are far from perfect, of course. “The only thing that was missing from the Holocaust museum program, that was most impressive to me, was the hall of shoes,” Schmoldt said. “They were shoes that were confiscated from the Jews, and for some reason, that affected me on a really deep level, and that wasn’t part of the virtual reality program. There’s no way you can replace the smell. It was a musty old smell and to have that sensory experience was just irreplaceable. Overall, this equipment seeks to give students an opportunity to experience things they may never have otherwise. Some of these programs include virtual dissections and body systems for human anatomy, virtual engines for automotive classes, and many other topics relevant to various science or technology courses. But science, technology and history are only the beginning for how the West Bend School District plans to use the virtual reality equipment. “Through Mr. Hyde’s work with staff, we also now have the ability to create our own 360 degree videos and view them through the VR goggles,” Harder said.